Man and nature harmonise in the pretty Hampshire village of Brockenhurst where the New Forest's famous, free-roaming ponies drink from the watersplash at the bottom of the high street. 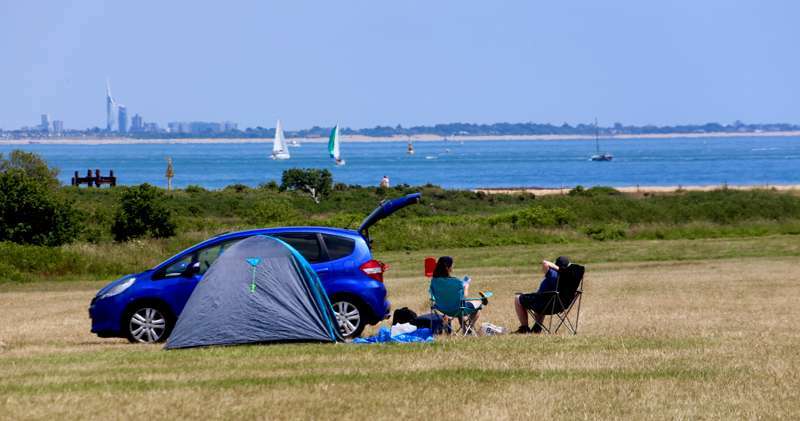 Surrounded by heathland and woodland and criss-crossed by footpaths, bridleways and nature trails, the village is a perfect base for camping in the national park. Access is easy, all the essential amenities are there and, all around, await some of the best campsites in the New Forest. 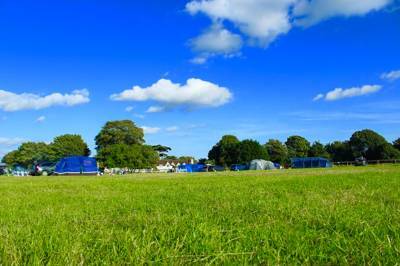 Camping and glamping in Brockenhurst are fantastic ways to holiday in the heart of the New Forest National Park. This magical part of the UK is close to London and the slap-bang in the middle of the busy south coast – but feels a million miles away. Free-roaming ponies and glimpses of deer among unfenced moorland and woodland let you know you’ve arrived in the national park. In the middle of this unique landscape is where you’ll find Brockenhurst. It’s the biggest town in the New Forest – but don’t let that put you off. It’s a place of independent shops and eateries where ponies are often seen in town – and it has a railway station making car-free camping a real possibility. 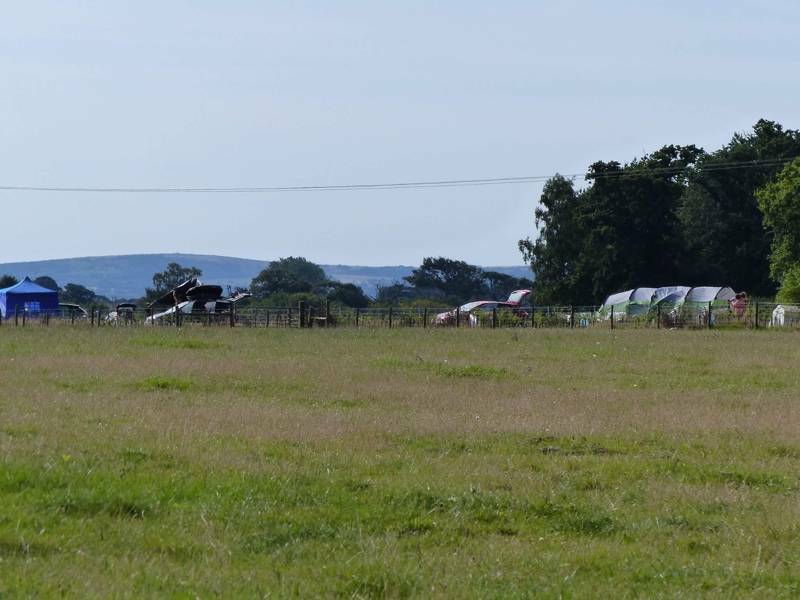 Camping or glamping near here gives you access to the butchers, bakers and bike-hire shops that will help to make your holiday. It’s a popular place to camp and hidden among the trees and gorse bushes are some of England’s best-loved campsites. 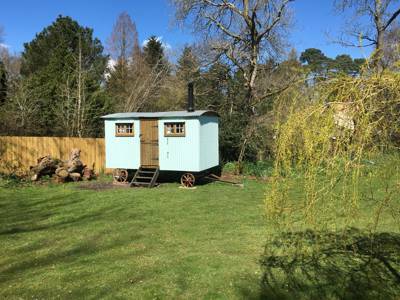 There’s an increasing array of glamping accommodation in Brockenhurst and its surroundings too with shepherds' huts, bell tents and safari-style tents among the options. 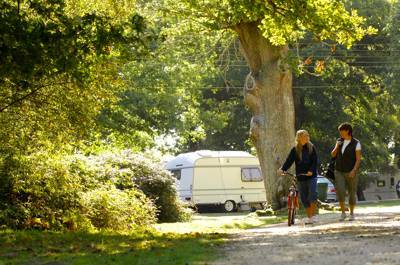 Camping or glamping in Brockenhurst puts you at the heart of the New Forest National Park. Styled as ‘one of Britain’s breathing spaces’, it is the perfect place to get outside and breathe the fresh air which means walking, cycling and horse-riding come highly recommended (along with camping, of course). There are innumerable footpaths through the heathland and woodland and some excellent bike trails and bridleways too. You can hire bikes in Brockenhurst if you haven’t got your own. The nearby Rhinefield Ornamental Drive is a great place to walk, cycle or visit as it is lined by rhododendrons and azaleas and home to the tallest trees in the forest – giant redwoods. You’re unlikely to miss the free-range ponies in the national park but you’ll also want to keep your eyes peeled for the slightly more shy deer who also have their home here. If you don’t manage to spot any while you’re out walking try heading for the deer-viewing platform at Bolderwood. There are more animals to meet (in a more organised fashion) at Longdown Activity Farm which might be a hit with younger kids – and that’s not to mention that other famous pig who lives in the forest, Peppa. Head for Paulton’s Park where Peppa Pig World is one of the attractions. Another well-known attraction near Brockenhurst is Beaulieu, a country estate with a diverse range of attractions from its historic house and gardens to the National Motor Museum. There are plenty of birdwatching opportunities around the forest but if you want a guaranteed sighting of some impressive birds of prey, you could head for Liberty’s Falconry. 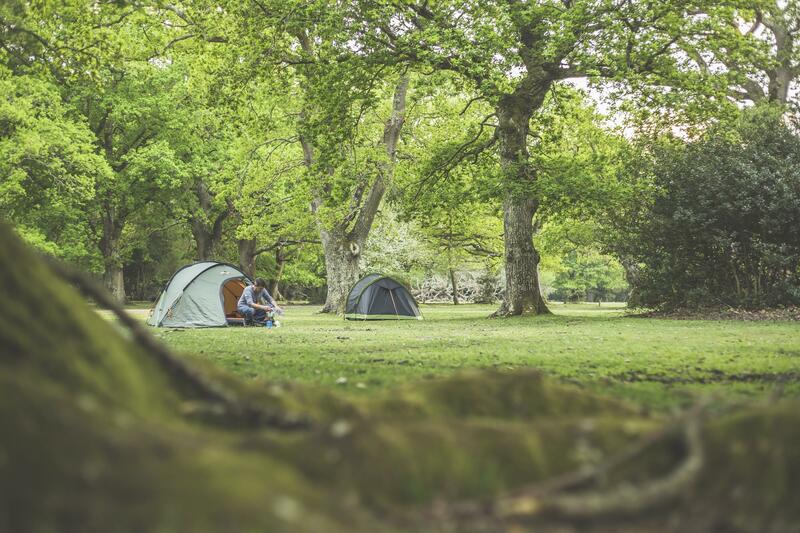 For more ideas of things to do while camping and glamping in the New Forest, visit the national park’s official visitor website or head to the visitor centre in Lyndhurst. heath Hampshire village Brockenhurst New Forest ponies camping holiday national park campervan caravan tent campsite campsites holidays at Brockenhurst Camping, Man and nature harmonise in the pretty Hampshire village of Brockenhurst, a place where the New Forest's famous, free-roaming ponies drink from the watersplash at the bottom of the high street. Find the best campsites near the village with our hand-picked, Cool Camping collection.